Take Action – Lead times are increasing. It’s time to rethink strategies. The lead time for many components now extends past 52 weeks. With no relief in sight, companies are urgently seeking ways to mitigate risk associated with their components. 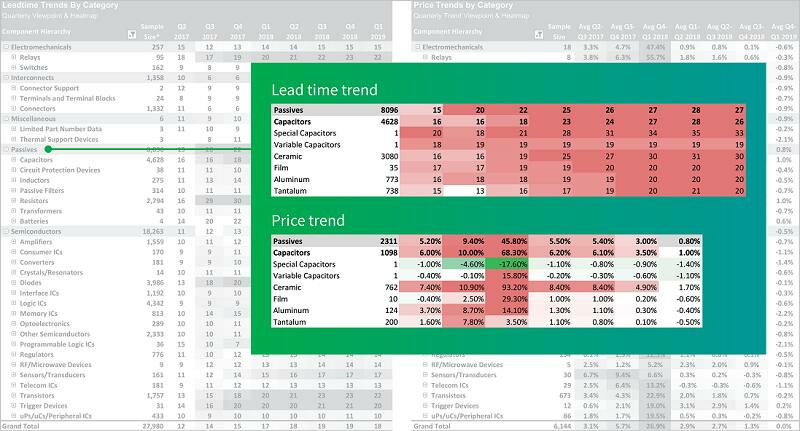 IHS Markit Component Price Landscape (CPL) is the industry leading tool that helps you keep pace with availability and pricing for the components you use. Fill out the form to the right to request your complimentary component trend analysis brief from the latest CPL today. 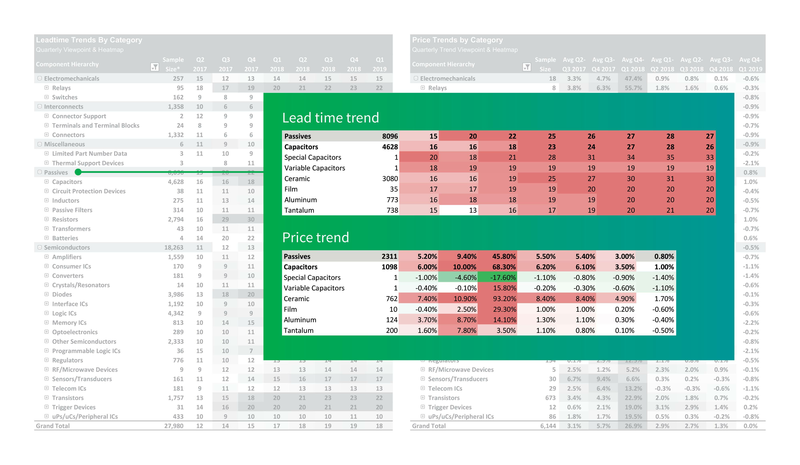 View sample CPL Quarterly Trend Viewpoint & Heatmap below. Experience the power of the Component Price Landscape (CPL) solution. Receive a complimentary component trend analysis brief. To get started, please fill in the form below.